"Imagine when thoughts can do that to water, what they can do to us..." Yes, human thoughts are that powerful, and group meditation has proven to be able to lower crime rates across a city called Washington significantly. All of it is connected, and belief in meditation is essentially just the same as the belief that forms the basis of the Placebo Effect. 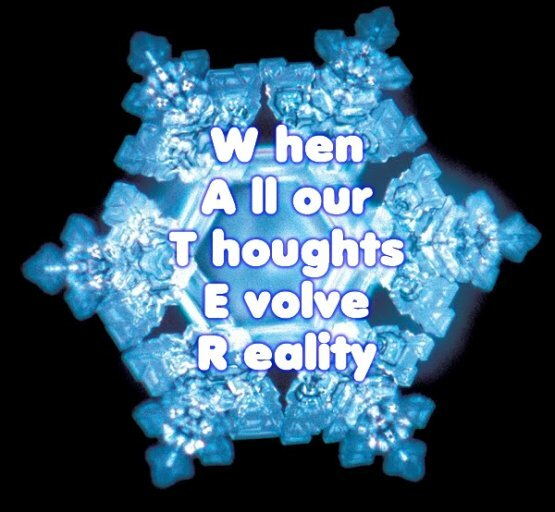 Dr. Masaru Emoto did a large number of experiments having to do with intention and its effects on water. He tested the effects of Buddhist blessings, labels with texts on them, even words shouted or spoken at bottles of water. Invariably the results showed striking outcomes, in that concepts like love would produce the loveliest of snowflake crystals when photographed, and other stuff like hate speech and insults would create terrible non-crystalline forms.